Haydale announced that it has developed new metal-free graphene-based inks. 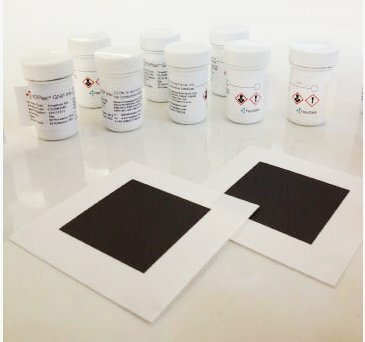 The HDPlas Graphene Ink Sc213 can be used to commercialize smart packaging, printed batteries, sensors, flexible displays (OLEDs and e-paper) and touch screens. Haydale developed the new inks in collaboration with specialist ink manufacturer Gwent Electronic Materials (GEM). Those inks have been optimized for ideal viscosity and solid contents ensuring excellent coverage and exceptional conductivity. The inks are fully customisable and can be modified with development partners for specific requirements. Haydale says that samples batches (from 100 grams to 5 kg) are available now. The 100 gram samples cost £200 ($310 USD) while the 5 kg sample costs £2,225 ($3,430).